Conducting research of any form into the history of an object, artwork or building can be exciting and rewarding but also very frustrating and often confusing. 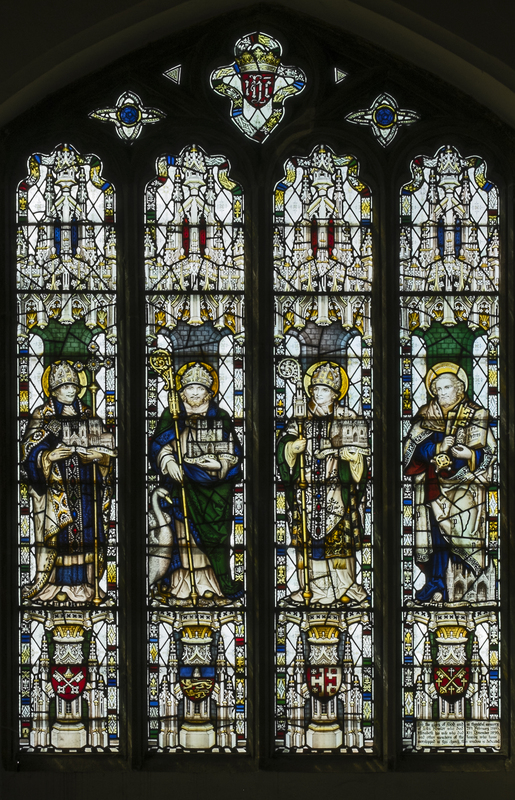 This is what I found out when I set about researching a group of stained glass windows in a parish church in a town in Lincolnshire. Buy the book!! A full colour publication of my research is available to buy! The town of Stamford is well known for its antique charm. 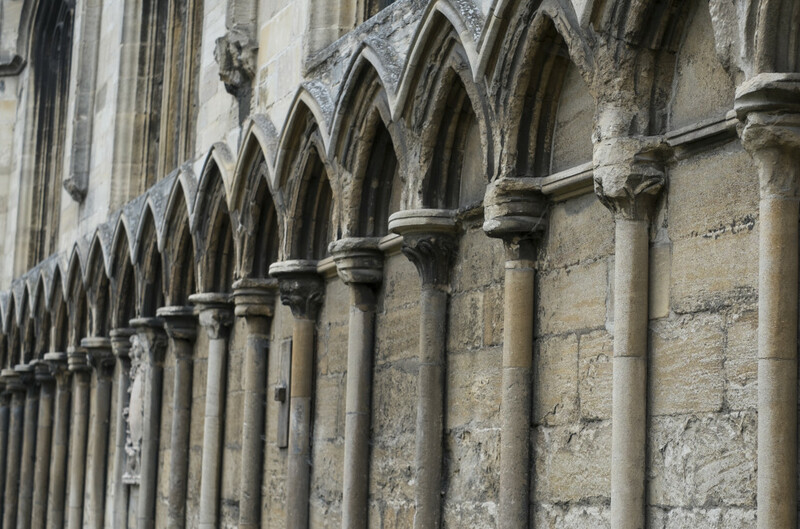 It was proclaimed by Sir Walter Scott as “the finest stone town in England” (Source: Visit Southwest Lincolnshire), was declared a conservation area in 1967, has over 600 listed buildings and five medieval churches in its town centre. 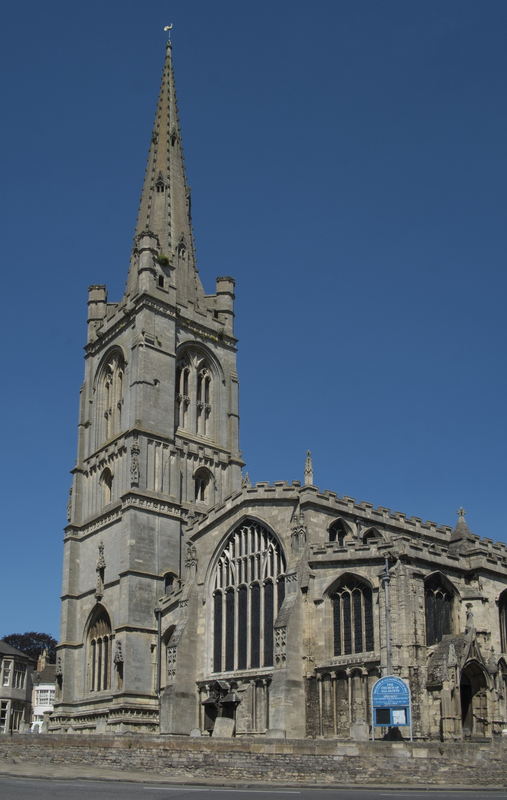 All Saints’ Church is located in the town centre on Red Lion Square with a lofty spire which sets itelf apart from the rest of the buildings. The earliest surviving fabric is on the north side and dates from the twelfth century, but in the fifteenth century two prominant merchants of the town: John and William Browne, paid for a huge reconstruction of a lot of the church. After this building work little is known about what happened to the church, its fabric and any decoration including medieval stained glass until the nineteenth century when faculties started appearing in the diocesan archives requesting permission to make various alterations to the church. However the twelve windows are by at least five different artists, have been donated by different patrons, commemorating different things, and are of different dates. Surviving documentation stretches to faculties for four of the twelve stained glass windows, two newspaper mentions in the local Mercury, two plaques on the walls and inscriptions in the windows themselves. 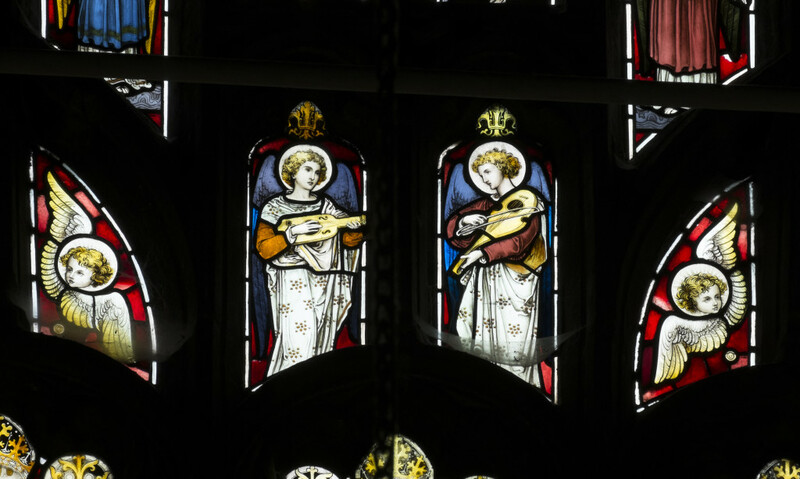 From what I could uncover, no scholarly interest into the windows had been undertaken in the past, leaving them completely unnoticed in todays modern climate of historical interest and stained glass publications. The intricate detail of the windows and their diversity encouraged me to continue my research. I discovered so much that was worthy of interest and a lot of exciting information. Along the way however there seened to be more obstacles and closed doors than successes. I contacted archives, organisations and experts and not one of them had any information that shed any light on the history of the creation of these windows. Eventually I began to piece together a story of wool merchants, americans and rich bankers. It seemed that family ties did a lot to influence the purchase of individual windows and these could only be discovered by following unexpected and less obvious routes. 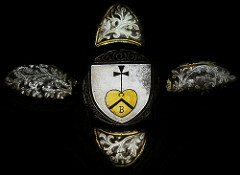 Please keep reading for a little more detail on the stained glass. Researching can be a difficult task, but I would like to finish on an encouraging note. I intended to create a tri-fold leaflet of information on the church. I could not stop there because the volume of material would not fit in that limited space. I ended up with a 69 page full colour book which is published and available for purchase on my website or on Amazon. No matter how impossible it may seem, the information is out there somewhere and you can make what you want out of it! All Saints received contributions from Heaton, Butler and Bayne, Clayton and Bell, C.E. Kempe and Co., Shrigley and Hunt of Lancaster and A.K. Nicholson. 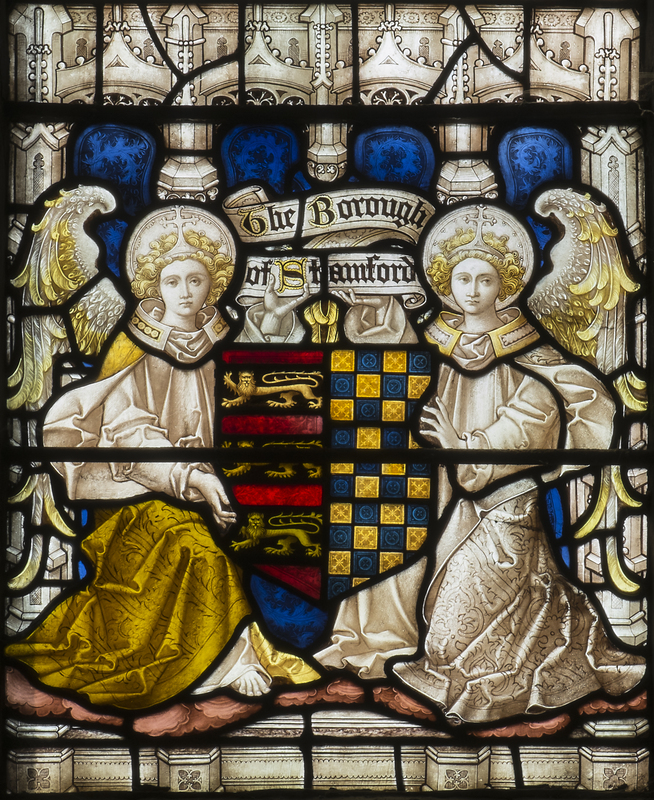 Wealthy patron include former Rectors of the church, two separate families of ancestors of William Browne the fifteenth century patron of the church and a managing director and members of the Stamford, Spalding and Boston Building Society (now owned by Barclays).